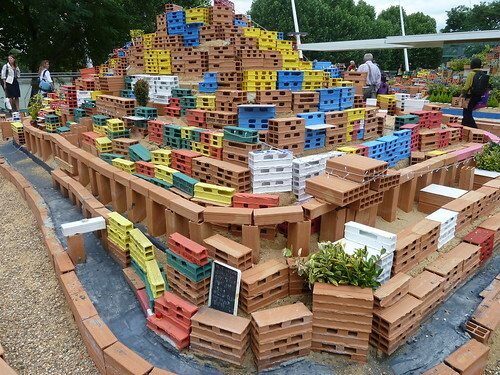 Project Morrinho is an ever-growing social project that takes the form of a miniature city built by young people in Rio de Janeiro from brick, paint and other found materials inspired by the landscape, architecture and everyday life of the favelas that span the city. Here it has appeared on the South Bank. More snaps here. It's worth a visit for sure.